The Industry Glossary covers the most common terms and abbreviations used in the primary industry, oil and gas, petrochemical and refinery industry, transport, aviation and maritime sectors, food and pharmaceutical sectors, energy and waste recycling, machine and equipment construction, and utility and HVAC industries. These definitions are grouped based on the eight key product groups produced and commercialized by ERIKS. To make it easier to understand these terms, we've linked them with relevant products from our webshop or articles and guides from our Knowledge center. Therefore, if you click on the term, you will be taken either to a product page that is relevant for the defined term, or to a comprehensive article that explains that product or the main category it belongs to. The pressure measured above a perfect vacuum, expressed in bar, Pascal or PSI. Device used for opening, controling and closing a valve, which is used in general when a valve is positioned remotely, when it's located in hazardous areas or when the manual operation of the valve would take too much time. The main types of actuators are electrical, hydraulic and pneumatic actuators. These can be further classified in quarter-turn and multi-turn actuators, depending on the number of turns of the stem required for moving the valve from a fully open to a fully closed position. Valve used for air flow control. Given that air flows are usually small, solenoid valves are commonly used for this purpose. Globe valve in which the inlet and outlet ports are at 90°. Pressure exerted on the downstream side of the valve seat. Quarter-turn valve with a spherical closing element held between two seats, used mostly as on/off valves in the chemical industry. They can be made of one, two or three pieces, and ensure a quick opening and good shut-off. Device whose design allows for bi-directional flow. Quarter-turn valve with a circular disk as its closing element, in which the valve stem generally runs through the disk, giving the valve a symmetrical, butterfly-like appearance. More modern designs off-set the stem, which cams into the valve seat, this construction model being more advantageous as it causes less wear and tear on the disk and seats of the valve. 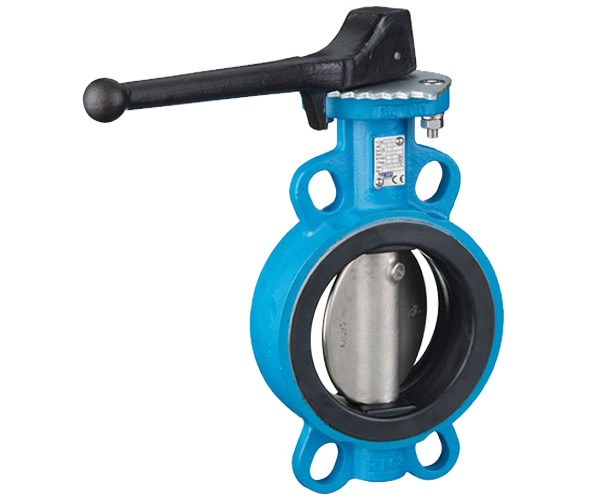 High performance butterfly valves offer zero leakage, therefore can be safely used in industries like hydrocarbon processing or chemical. Small bore valve mounted in parallel to a larger, main valve, for reducing the differential pressure across the main valve before the latter is opened. 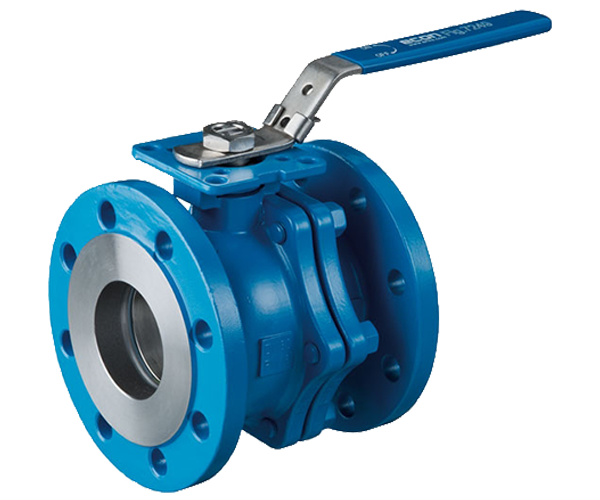 Ball valves help prevent the damage of the internal components of the larger valve. Valve which allows the fluid to flow in a given direction, but prevents backflow thanks to its design. These valves, also called non-return valves, are generally self-acting, and can be further classified into swing check valves, wafer check and tilting disc check valves. Gate valve with a rectangular disk as closing element, in which one half of the disk is solid and closes the valve, and the other has a circular port that is used for opening the valve. Valves designed for use in temperatures under -40°C. Bi-directional valve operated by applying an external force to a flexible element or diaphragm, made of an elastomer. 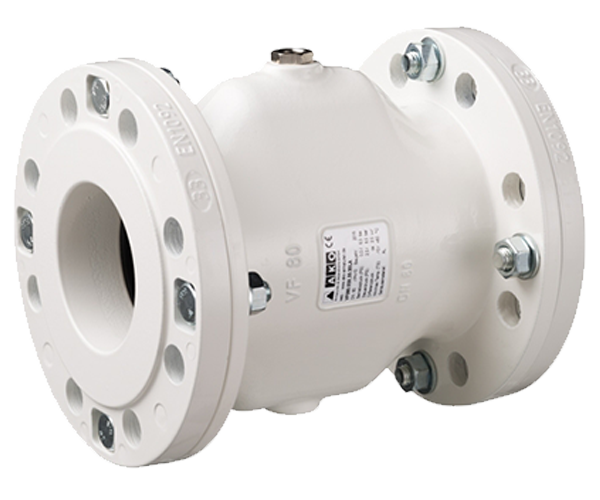 These valves can be used in environments where other valve designs might clog, such as in slurries or hygienic applications. Valve which can divert the flow direction of the medium to two or more different directions. Valve that uses energy stored in the actuator for closing rapidly in case of emergency. Valve which opens and closes automaticaly when the fluid level changes, and is operated mechanically by a float which rests on the top of the fluid. Valve for which the internal diameter of the opening is equal to the internal diameter of the piping to which the valve will be fitted. Multi-turn valve with a gate-like disc that moves linearly, perpendicular to the flow direction, and two seats that close the valve. 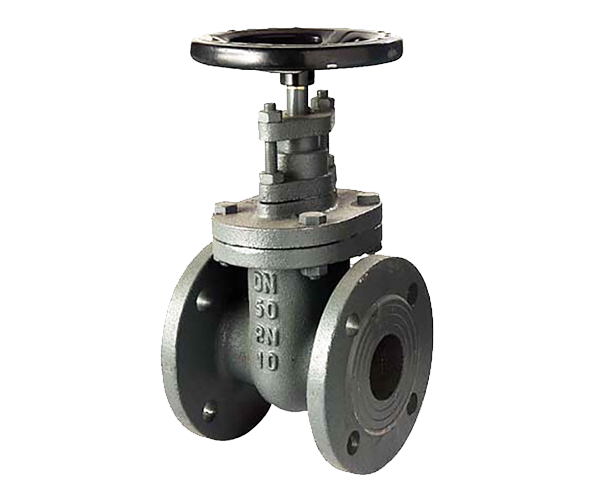 Usually used in fully opened or fully closed position, this valve provides good sealing and is used in the petrochemical industry. Gate valves can be further classified into conduit gate valves, knife gate and wedge gate valves. Multi-turn valve used for general flow control and throttling, that features a closing element which moves perpendicularly to the valve body seat and usually seals in a plane parallel to the flow direction. Valve whose body is covered in a jacket. Steam can be introduced into the jacket to keep the fluids at a specific temperature. 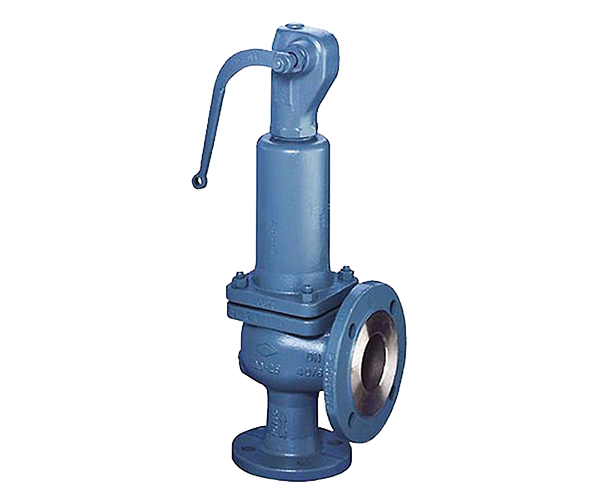 Gate valve with thinner gate and a knife-like edge, used with floating solids, for example in the pulp and paper industry. Pipeline shut-off device that can be used instead of a valve, and which consists of a flat disk forced between two flanges. This requires more time to operate than valves but has a lower price. Valve with additional inlet and outlet ports that allow fluids to be directed. The ball and plug valves fit in this category. 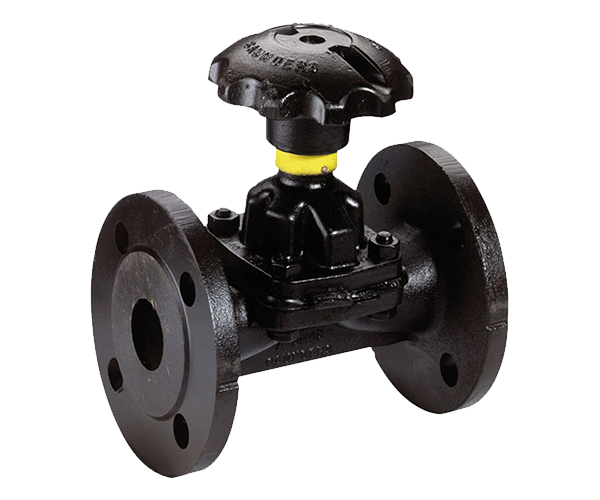 Valve which requires multiple turns of the stem to move the valve from a fully open position to a fully closed one. 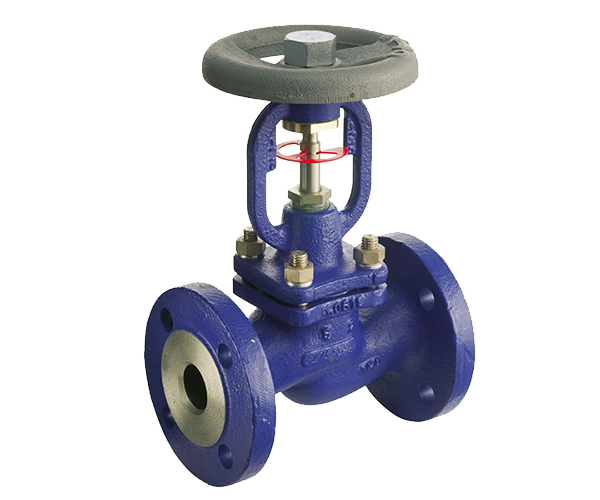 Globe valves, gate and needle valves are included in this category. Multi-turn valves are also called linear valves. Multi-turn valve with a needle-shaped closing element, which looks similar to the globe valve. It is generally smaller and used on secondary systems for on/off applications. Small valve used for operating larger valves, which requires little power. Valve that consists of a flexible hose pinched between two moving external elements, whcih stop the flow. It is suitable for use in slurries and in the mining industry, as its operation is not affected by solid matter in the medium. Multi-turn valve with a rotating plug as closing element. The plug may be cylindrical or truncated, and in the open position, the fluid flows through a hole in the plug. Device used for ensuring that the closing element of a valve moves to or remains in the correct position. Valve which opens when the pressure in a vessel exceeds a specified value, and closes when the pressure returns to normal. Safety valves fit in this category. Valve which requires a 90° turn of the stem to move from the fully open to the fully closed position. Ball, butterfly and plug valves fit in this category. Valve for which the internal diameter of the opening is lower than that of the piping to which the valve needs to be fitted. Pressure relief valve that opens rapidly and fully, in response to static upstream pressure. Valve operated by an electrical solenoid, often deployed as pilot valves for controlling larger valves. An example is the needle globe valve. Non-return valve with a hinged disk as closing element. Valve designed for fitting at the bottom of a tank or process vessel. Ability to control the amount of flow through a valve, as compared to a simple on/off function. The valve body is the main pressure boundary, which provides the ends for connecting the pipes, and the fluid flow passageway. Movable part of the valve positioned in the flow path, whose purpose is to modify the flow rate through the valve. Different types of closures include ball, disk, gate and plug. Part of a valve against which the closure element effects a tight shut-off. Rod extending through the bonnet assembly that permits the positioning of the closure member. Anti-extrusion ring or support ring. A seal that prevents leakage from both directions. The amount of frictional force required to start a body in motion over a surface. Continued deformation under stress. Also called Creep. A heterogeneous combination of two or more materials (reinforcing elements, fillers and binders). The combination results in a material that maximizes specific performance properties. The permanent deformation of a seal after release of a compressive load. A polymer consisting of two of more different monomers chemically combined. The progressive relaxation of a given polymer while under stress. The overlap in dimension between the seal free height and the gland into which it is installed. Synonymous: squeeze for elastomer or rubber. A seal required to prevent leakage between opposing surfaces, which are in relative motion. The tendency of a body to return to its original shape and dimensions after having been stretched, compressed or deformed. Any synthetic or natural material which can return rapidly to its original shape after major or minor distortion. Elastic, rubber-like material. Generally referred to as ultimate elongation. Percent increase in original length of a specimen when it reaches its breaking point. Distortion or flow of part of a seal into an extrusion gap under pressure. The clearance on the low pressure side between two bodies, which confine the seal. A seal that is compressed in a direction parallel to the axis. Thin imperfections on the elastomeric portion of a seal, formed by extrusion of the elastomer at the parting lines in the mold cavity. A surface cracking induced by repeated bending or flexing. The measure of radial height for a radial seal or the axial width for a face seal when the seal is in free-state. A combination of corrosion and wear which occurs when a seal wipes the oxide coating from a shaft sleeve, exposing the base metal to the action of corrosion. The force that resists the relative motion of two bodies in contact. A seal which is used between two relatively static surfaces to prevent leakage. It is made from any deformable material. A cavity into which a seal (or O-ring) is installed. It includes the groove and mating surface which together confines the seal. The radial height of the gland for a radial seal. The axial width of the gland for a face seal. A material’s resistance to a distorting force. The hardness is measured by the relative resistance of the material to an indentor point. Higher numbers indicate harder material. A rigid structure which supports and confines the seal assembly with respect to the shaft. A seal normally energized by a rubber or an elastomeric component and designed specifically for hydraulic and pneumatic applications. The plastic or elastomeric member surrounding the spring. The quantity of fluid passing through a seal in a given length of time. For compressible fluids, it is normally expressed in standard cubic feet per hour (SCFH), and for uncompressible fluids, in terms of cubic centimeter per unit of time. An elastomeric or fluoroplastic seal that prevents leakage in rotary shaft seal applications by employing one or more contact lips to provide a scraping or wiping action on the shaft surface. These seals are commonly called shaft seals, oil seals or rotary lip seals. Indicative of the stiffness or rigidity of the materials. Modulus is measured in psi (pounds per square inch), and it can be measured in any mode of deformation, i.e. tension (stretching), compression (crushing), flexing (bending), or torsion (twisting). A proprietary perfluoroelastomer material. It has excellent thermal and chemical resistance properties. A toroidal shaped sealing device usually made from rubber or elastomeric material. A polymeric material which is fully fluorinated and exhibits high chemical resistance. Permanent deformation of spring or elastomer upon release of load. The passage of a fluid under pressure through a solid material by diffusion. A material formed by the joining together of many (poly) units (mer) of one or more monomers. Quality or state of being porous. Seals that are compressed in a radial direction. Radial seals are used as rod and piston seals and are usually dynamic, although they may occasionally be static. Twice the distance which the center of a shaft is displaced from the axis of rotation. It is expressed in “TIR” (total indicator runout/reading). A device employed to keep out dirt or other foreign matter. A device designed to prevent the passage of a medium (fluid or solid). The annular area into which a seal is installed. A machine element capable of restoring energy and releasing it. A seal between two surfaces which have no relative motion. Ratio of the maximum load a material can support without fracture when being stretched to the original area of a cross section of the material. The tendency of a force to produce rotation about an axis. Frictional torque equals frictional force times the radius of rotation. A seal that prevents leakage from only one direction. An enclosed space that is occupied by a gas at less than atmospheric pressure. A thermo-setting reaction involving the use of heat and pressure, resulting in greatly increased strength and elasticity of rubber-like materials. The change of a material with time, under defined environmental conditions, leading to deterioration or improvement of the material properties. Agent which is added to a molding material or is applied on a product's surface to make it less conducting. Reverse draft used in a mold to prevent the molded items from drawing freely. Exudation or efflorescence on the surface of a plastic, usually caused by lubricants or plasticizers. Projection of a plastic part designed to add strength and to facilitaet the alignment of the parts during assembly. The opening and closing of a mold through which gases escape earely in the molding cycle. Formation of a plastic object by pouring a fluid monomer-polymer solution into a mold. Occurrence of a dry chalk-like deposit on the surface of a plastic. Plate fitted to a mold, used for fastening the mold to a molding machine. The first material added in an injection mold. Removal of excess material from the cross section of a molded part, to attain an even wall thickness. Change of a material's dimensions with time, caused by load. When this happens at room temperature, it's called Cold flow. Change of the physical properties of a material through a chemical reaction, such as condensation, vulcanization or polymerization. The temperature at which this change happens is called Curing temperature. Splitting of a plastic material along the plane of its layers. A pause in the application of pressure to a mold, made just before the mold is completely closed, with the purpose of allowing gas to escape from the material. Material which stretches at room temperature, under low stress, doubling its length, and snaps back to its initial length once the stress factor is released. Percent increase in original length of a specimen when it reaches its breaking point. Compacting of a plastic material which is then forced through an orifice in a continuous fashion. Multi-cavity mold in which each of the cavities forms a different part of the assembled object. Additive added to a resin with the purpose of improving its physical properties and reducing its price. Extra plastic attached to a molding along the parting line. The degree of cloudiness of a plastic material. Molding procedure in which a soft plastic material is forced through a cylinder into a cavity, where it will harden in the desired shape. Lubricant used for coating a mold cavity, which prevents the molded item from sticking to the mold. The mold release facilitates the removal of the finished product, and is also called Release agent. Increase in length of an elastic material caused by stress applied for a standard period of time and expressed as a percentage of the initial elngth, after which the material fails to return to its original length. Material added to a plastic for increasing its workability and flexibility. The mounting plates of a press on which the mold halves are attached. A term which is the product of pressure and relative sliding velocity. The term is normally considered to provide some measure of severity of service, and thus relates to wear life. Strong inert material bound into a plastic for improving its strength and impact resistance. Process of holding a pressed-powder article at a temperature just below its melting point for a precise interval of time, in order for particles to fuse together, but without the mass melting. Feed opening of an injection or transfer mold. Ratio of the maximum load a material can support without fracture when being stretched. Dimensional distortion in a plastic object after molding. External damage to a hose or hose assembly caused by rubbing against a coarse, rugged or sharp surface. The ability of the hose to withstand abrasion. Tube (internal layer of the hose): The ability of the hose or hose assembly to withstand failure caused by an abrasive medium passing through the hose, such as sand, cement or glass. Cover (external layer of the hose): The ability of the hose assembly to withstand abrasion caused by coarse, rugged or sharp surfaces or objects rubbing against the cover. 1) Threaded fittings of various sizes and materials used to change an end fitting from one type to another type or one size to another. For example, a male BSP to male NPT is often attached to a swiveling female BSP to create a male end union NPT fitting. 2) The male part of a quick coupling, for example a cam & groove coupling or cardan coupling. Value of the pressure at which the hose assembly is expected to rupture, or the braid is expected to fail. This pressure is determined in a laboratory setting at 21°C, with the hose installed in a straight line. The temperature of the atmosphere or medium surrounding a hose in service. The bending of the hose that causes the ends to no longer be parallel. The amount of movement is measured in degrees from the centerline of the hose. Refers to the convolutions on a metallic hose that are a series of complete circles or rings located at right angles to the longitudinal axis of the hose. Hoses obtained by expanding the tube or inner layer of the hose from the inside to the outside. The corrugations that result are equally spaced, parallel and perpendicular to the hose axis. These hoses are superior to helical ones, from a technical point of view, as they don’t produce torsion loads with increased pressure or pressure surges, and they can be easily connected to fittings. Compression or elongation along the longitudinal axis. The portion of a fitting or coupling that is inserted into the hose, designed to seal the hose and fitting. The minimum radius one can bend a hose without kinking it, damaging it, or shortening its life. The radius of a bent section of a hose is measured to the centerline (R) of the curved portion. The smallest radius at which a hose can be used without kinking while constant or continuous flexing occurs. The smallest radius at which a hose can be used without kinking while bent or flexed into a fixed position. The amount of force required to induce bending around a specified radius and hence, a measure of stiffness. A raised area on the surface of a rubber hose. Can be caused by a separation between the rubber layers creating a medium filled space. The force generated from the internal pressure attempting to push the fitting from the hose. 1)	Braided reinforcement in a rubber hose to increase pressure rating and add hoop strength. A lot of different materials such as polyester, cotton or metal wire are used. A hose may have one or more braids between layers of hose material. 2)	Braided reinforcement of a metal or PTFE hose a the outside of the hose to assure an increased pressure rating. A family of copper/zinc alloys. An alloy of copper, tin and zinc. The pressure at which a rupture caused by internal pressure occurs. Process in which the edges or ends of the metal sections are butted together and joined by welding. A type of fitting that allows connection and disconnection by means of arm(s) or cam(s) on the female fitting. The seal is accomplished by means of a gasket, available in various materials. These fittings are frequently used on product transfer hose assemblies. Impression formed on the rubber surface during vulcanization by contact with nylon curing tape. A multi-ply wall of thermoplastic layers, films and reinforcing fabrics in proportions that give the required physical properties and provide a complete seal. Conductivity refers to the electrical properties of the materials making up the hose, usually the tube, layers and/or cover material. Conductivity is measured in M-Ohms. Conductive hoses are used in applications where the conveyed material can generate static electricity build-up. Such hoses will dissipate static electricity through the rubber material to the hose ends, provided the correct coupling material is used. Hoses made of a seamless or longitudinally-welded, thin-walled tube, into which corrugations are introduced by mechanical or hydraulic means. Each of these methods creates different corrugations: the hydraulic method leads to annular corrugated hoses, while the mechanical technique can lead to both annular or helical corrugated hoses. We see therefore that there are two main types of corrugated hoses: annular and helical. The female part of a quick coupling. For example, a cam & groove coupling, cardan coupling. Quick release coupling. A rubber elastomer, ASTM designation for chlorinated polyethylene. A fitting attachment method utilizing a number of dies mounted in a press. The dies close perpendicular to the hose and fitting axis, compressing the ferrule around the hose. A rubber elastomer, ASTM designation for chlorosulfonated polyethylene. Soft wall, wireless, built-in ends of a hose. Pressure at which the hose corrugations will be permanently deformed. The maximum pressure to which a hose will be subjected, including the momentary surges in pressure, which can occur during service. Deutsches Institut für Normung, the German Institute for Standardization. Two hose assemblies joined by a common elbow. Also called liquid penetrate inspection or penetrant testing, is a low-cost inspection method used to locate surface-breaking defects in all non-porous materials (metals, plastics or ceramics). A document that has been adopted by one of the three recognized European Standardization Organizations: CEN, CENELEC or ETSI. An rubber elastomer, ASTM designation for Ethylene Propylene Diene Monomer. The wearing away of the inner corrugation of a hose caused by the conveyed media. A co-polymer, ASTM designation for Ethylene Vinyl Acetate. 2. One "endless" tube with no possible leak-paths in comparison with hose that are produced by wrapping technology. Failure of a hose caused by flexing, which results in the break down of the metal structure. A co-polymer, ASTM designation for Fluorinated Ethylene Propylene. A metal cylinder placed over a hose end to affix the fitting to the hose. Helical corrugated hoses consist of a right-handed helix with constant pitch that runs along the whole length of the hose. These hoses are obtained through mechanical corrugation, during which pressure rollers are placed around the tubes and create the desired profile from the outside to the inside. A metal wire helix embedded in the hose wall; typically used in suction hoses. Wire netting braided from bobbins that move in opposite directions. These braidings are laid directly on a metal corrugated or smooth hose or on a core, their role being to limit the expansion of the hose under internal pressure, and to maintain the structure of the tube under external pressure. Depending on the application of the hose, one or more braided layers can be used over the tube. If more layers are braided together, the resulting layer is called braided braid. This type of protective layer is used in general for hoses with a larger diameter. A hose with inlay can be made of two layers of plastic – one internal and one external, which are separated through a reinforcement or inlay made of wire. On the other hand, a hose without inlay is made of two plastic layers that have no additional material between them. The use of a pressurized liquid, usually water, to test a hose assembly for leakage and hose change-in-length. Joint Industrial Council (no longer in existence). An engineering group that established an industry standard fitting design incorporating a 37° mating surface, male and female styles. Now governed by SAE. This movement occurs when the hose centerline is moved in a plane perpendicular to the longitudinal axis with the end remaining parallel. Flexible hoses made of two layers of PVC that are inseparably fused, with a woven yarn reinforcement. Unlike rubber or metal hoses, these ones are collapsible, and are very flexible, lightweight, strong and weather resistant. A round section used for size and to support hose during fabrication and vulcanization. It may be rigid (carbon steel or stainless steel) or flexible (rubber or plastic). A hose fabricated on a mandrel. The substance being conveyed through a hose. Maximum operating pressure at which the hose assembly should be subjected. This value should take into consideration the surges in pressure that may occur during service. A rubber elastomer, ASTM designation for Nitrile Butadiene Rubber. National Pipe Taper. Pipe thread per ANSI B1.20.1. National Pipe Tapered for Fuels. Identical as NPT except dry-seal per ANSI B1.20.3. Surface cracks caused by exposure to an atmosphere containing ozone. The ability to withstand the deteriorating effects of ozone. Motion that occurs when the ends of a hose assembly are displaced laterally to each other, in a place perpendicular to the longitudinal axis of the hose. A mechanical projectile used for cleaning hose. Perforations through the cover of a hose to vent permeating gases. A material applied to metal by electroplating, for the purpose of reducing corrosion; typically a more noble metal such a zinc is applied to steel. An individual layer in hose construction. Is a polymer composed of organic units joined by carbamate (urethane) links. Polyurethane hoses have a very good abrasion resistance. The amount of pressure lost by a medium as it is conveyed through a hose assembly. Synthetic fluoropolymer of tetrafluoroethylene that has numerous applications. PTFE is renowned as the most chemically resistant material known. PTFE lined hoses can be used for a wider variety of chemicals than any other hose type, making it the ideal choice for very corrosive chemical applications and multiproduct applications. ASTM designation for polyvinyl chloride. Motion that occurs when the centerline of a hose assembly is bent in a circular arc. Value of the burst pressure which may be a percentage of the actual burst pressure measured in a laboratory setting. An rubber elastomer, ASTM designation for Styrene-Butadiene. That portion of a fitting, which is inserted into the bore of a hose. Pressure spike; sudden increase in pressure which creates a shock wave through the hose assembly. Also called Surge pressure. The removal of a short length of cover and/or tube to permit the attachment of a fitting directly over the hose reinforcement. A helically wound component applied internally or externally to a hose assembly, used for strain relief and collapse resistance. Static electricity is the electric charge generated when there is a friction between two things made of different materials or substances. A copper wire incorporated in a hose to conduct static electricity. Failure of a hose caused by excessive internal pressure, which causes the internal corrugations to warp into an S or U shape. Maximum pressure at which a hose can be subjected to without deforming its corrugations and without exceeding 50% of the burst pressure. Also called Proof pressure. The gas tungsten arc welding process sometimes referred to a shielded arc. Thermoplastic elastomer, also commonly referred to a thermoplastic rubber (TPR). A class of materials that demonstrate both plastic and elastomeric properties than can be extruded and injection molded. Installation configuration designed for axial motion or excessive offset motion. The temperature range of the application, may include the temperature of the fluid conveyed or the environmental conditions the assembly is exposed to in use. Ring used to fit behind rubber o-ring seals, to prevent extrusion into the gap between the metal pieces. Also called Back-up ring. An U-shaped sealing ring made of a strong pliable plastic or rubber material. Corrugated rubber or plastic piece which can stretch with a shaft, to keep the shaft clean. Inner dimension (I.D.) of a gasket. Rubber or plastic part used for preventing metal-to-metal contact. Surface effect in rubber materials characterized by many minute cracks. Loss of stress accompanied by the decreasing of the compressed thickness. A seal ring used for sealing in two directions, on the push and the pull stroke of a cylinder. A seal used for excluding dust from a machine or device. Rubber ring used like a gasket between two flat piece of metal. Gasket that covers the full face of a flange and features bolt holes. Rubber-like part made of a flexible material that fits between two metal parts, for sealing purposes. It is usually a flat, non-moving part made from a homogeneous rubber, a fabric-reinforced rubber or other materials. Loop of elastomer with an o-shaped cross-section. Cracking of the surface caused by exposure to ozone. The pressure the material can seal against. Premature vulcanization of a rubber compound due to excessive exposure to heat. Gaskets made of metal coil or winding, with a material filler. Spiral wounds can withstand very high perssures. Irreversible change in the chemical structure of a rubber compound, which becomes less plastic and more resistant to swelling by organic liquids. The elastic properties are improved or extended over a greater range of temperature. Rubber ring with a special shape used for replacing O-rings, and for eliminating the potential rolling of the ring. Bearing that uses rolling contact to cut power loss resulting from friction. 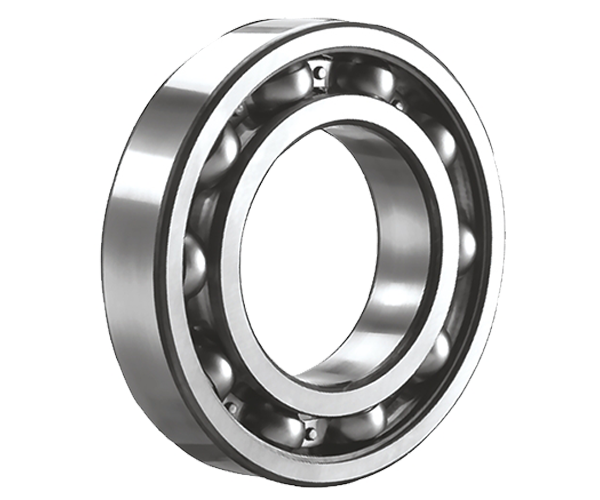 A ball bearing is a rolling bearing and usually consists of an inner and outer ring. One or two rows of balls sit in between these rings. 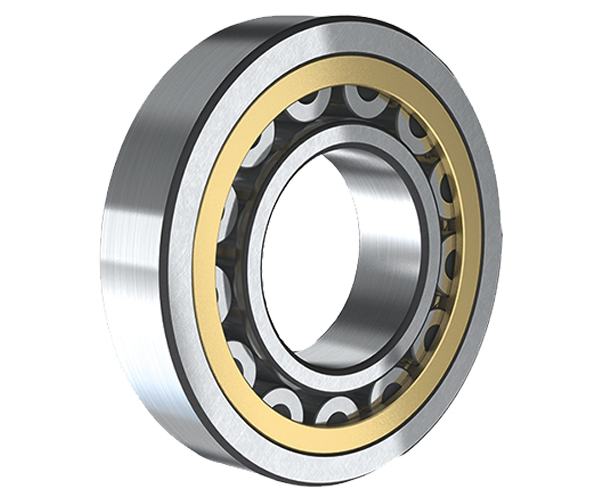 A ball bearing ensures that the friction of a rotational movement is reduced due to the rotation of the balls. Ball bearings have a simple design, they are suitable for high and even very high speeds, they are robust and require little maintenance. Designed to enable rotational or linear movement in a device, bearings are machine elements that are used to reduce friction between moving parts and to enhance the speed and efficiency of a system. At the same time, bearings are used to support other parts of a machine by handling various amounts of stress. 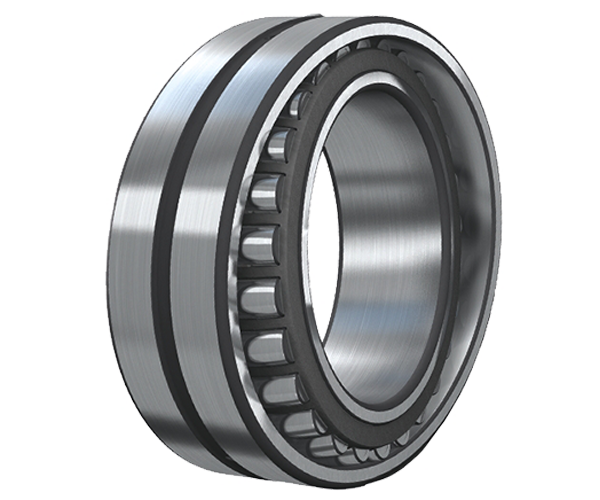 Depending on the design of the bearing, these surfaces may vary, but in general bearings are made of two rings or discs with raceways, rolling elements like rollers or balls that roll against the inner and outer metal surfaces, and a cage which keeps the rollers apart and guides them. Separator that holds the rolling elements in their position along the races. 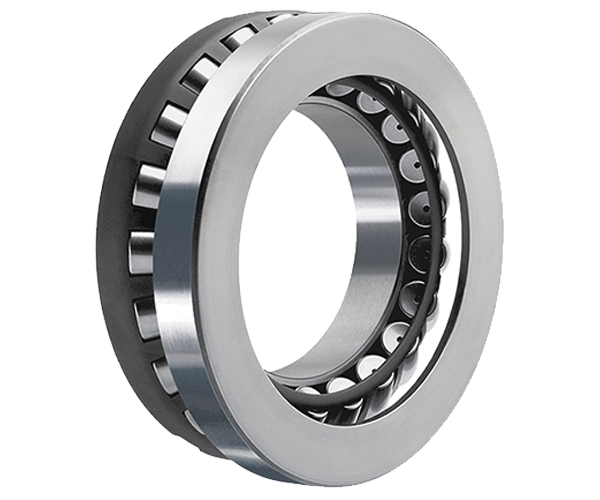 Roller bearings generally consist of two bearing rings with integrated races. Between the bearing rings there are rolling elements. These elements are also referred to as anti-friction bodies and move freely over the races. In slide bearings, the part moves along the sliding surface of a fixed bearing bush, bearing block or sliding strip. 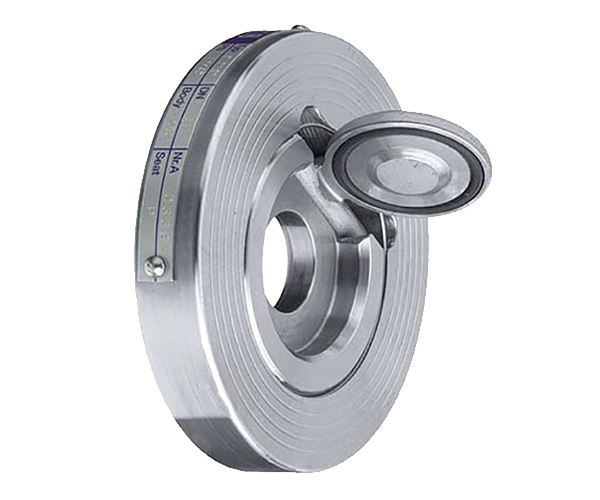 As a result, there is a sliding movement directly between the sliding layer of the bearing element and the part mounted on the bearing. Spherical bearings are self-aligning bearings. This prevents misalignment of the shaft and ensures that the shaft does not need to be adjusted. Spherical bearings are also less sensitive to deflection or bending of the shaft. Tapered bearings have inner and outer ring races between the rollers. The projection lines of the surfaces hit each other at the same point on the shaft. This design makes it possible to absorb radial and axial loads simultaneously. Item used for protecting the fingers. Finger guards are generally available in three different styles: as a flat guard with elastic back and open end, as guard with closed end, and as a wrap with elastic back and open end which provides protection around the entire circumference of the finger. Protective glove used in certain industries like constructions, plumbing, cutting, working with metals, auto repair and equipment repair, stamping. They are usually made of metal, rubber, leather or a combination of these materials, and provide protection against cuts, hits, punches, abrasion and temperature. Glove without individual finger openings, that has a high thermal efficiency. Some mittens have a flap that allows one to uncover their fingers during tasks that require a better grip or higher precision. Garment used for protecting the hands and wrists from hazards in the workplace. They are suitable for virtually all industries and applications, but their functionality is influenced by the design, construction and materials they are made of. Gloves offer protection against punctures and cuts, chemicals, heat and cold, electricity, contaminants. Personal protection item that can be attached by a seam at the wrist for extending the hand and arm protection. Generally made of more rigid materials that remain firm even when exposed to perspiration, and slide on and off easily. A series of overlapping metal plates mounted on a rotating chain, used for transporting heavy or abrasive materials. Braking device used for preventing a loaded, inclined conveyor belt from rolling backwards in case the motor stops. A flat surface such as a formed steel sheet on which the conveyor belt returns. Also called Slider. The length and width of the steel profiles that are joined together to form the conveyor belt. Enclosure used for containing material as it is transferred from one piece of equipment to another. Attachment fitted to a conveyor belt for forming a raised section that supports and stabilizes the products carried up an incline belt. Belt used in the internal transport of goods, for example to move a semi-finished product or a finished product to a different location within the production process. Device on the infeed of the conveyor that regulates the flow of products from a storage hopper onto the belt. Non-powered rolling component used for supporting a conveyor belt on the carrying or return run. The end of a conveyor belt where parts are fed on. Plate placed in various points of the conveyor belt to eliminate danger. Section of a conveyor belt going from incline to horizontal. The low end of an inclined conveyor belt. Rigid plastic or brush used for cleaning the belt. Metal sheet used to protect the underneath side of a conveyor belt.